Developing new products is difficult in any industry. In the private label household chemical business, developing new products has its own set of challenges. A 2011 Harvard Business Review article highlights the small chances of success in launching a new product. The article also cites the key to overcoming the problems is adequate preparation. 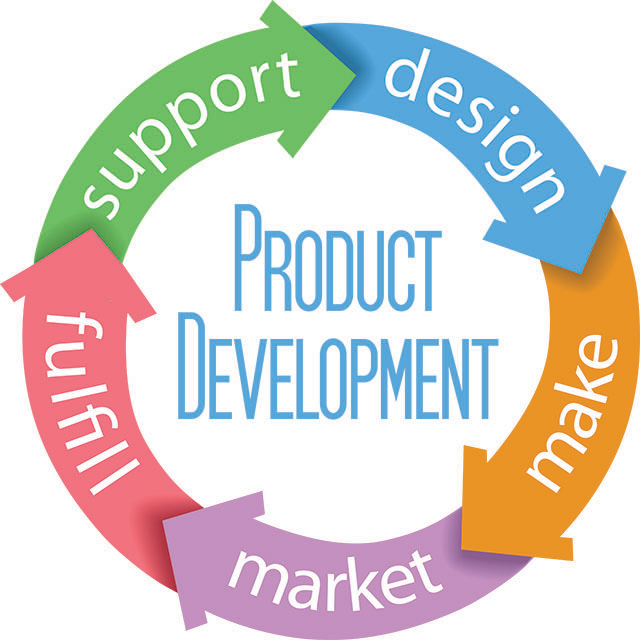 The process of product development is not so complicated if you follow some standard guidelines. Below is a simple outline to help product managers and product development engineers to understand the steps to put together a winning product ready to be successful with customers. Many household chemicals are standard formulations that have been used for many years. Products such as acetone, liquid soap, and hydrogen peroxide are made of commodity ingredients that can easily be sourced, blended, and bottled. But consumers are looking for innovation and want to try new variations. Consumers want products that are natural, more effective, more convenient, smell better, and have a better appearance. For these reasons, companies are always looking to innovate their products to be competitive and capture more market share. Developing your chemical formulation is an iterative process of defining your product goals according to the following dimensions: effectiveness, cost, health, sustainability, safety, and manufacturability. One of the essential considerations before launching a new product is to make sure the product works. Seems simple right? Not really. It is nearly impossible to understand all the possible variations and conditions in which your product will be used or misused. Testing your product for effectiveness can avoid excessive product returns by consumers or a recall. Product testing can also prevent potential lawsuits resulting from injuries sustained from product misuse. Below is a short list of companies able to perform testing in chemical products for composition and effectiveness. The compatibility of your chemical formula and the packaging material is an essential consideration in the liquid packaging and bottle filling process. You must select plastic and metal containers that are compatible with your material and will last a long time. We published a blog post on the topic. Also, boxes, printing vendors, caps, bags, and labels must be selected for your complete packaging solution. Packaging should also be innovative and convenient for the consumer. Very often, consumers make their buying decisions based on the packaging. Convenience features such as single-use, easy-to-open, re-sealable, and one-handed use attract consumers and will differentiate your product on the shelf. Sustainable packaging has now become an expectation of consumers. Consumers want to know that what they buy is somehow contributing to the health of the environment. The purpose of stability testing is to provide evidence on how the quality of a chemical varies over time under the exposure of environmental conditions such as; heat, cold, humidity, and light. This information can be used to determine a useful shelf life for the product and can also assess packaging stability and consumer safety factors. One way to conduct stability testing is to leave a packaged product on the shelf for a long time to see how it holds up. However, most product developers can’t wait for years, so they rely on testing from specialized labs that can conduct tests that effectively speed up time. In addition to accelerated time tests, the labs can introduce environmental variables. Stability testing is essential to the chemical product development process. Below is a short list of laboratories that specialize in stability testing of chemicals. In the past 5 to 7 years there has been a remarkable shift in the way companies market their products. Digital marketing has changed the way companies present their brands and their products. Your brand must compete within social media and among search engines for consumers’ attention. Your brand must be sharp and connect with the consumers you are trying to reach. There are several exercises you need to perform to create a strong brand that will connect with consumers. The first step involves understanding your customer. You can do this by looking at your customer database and make some conclusions on the average demographic (age, gender, geographical location, other) of who is buying your product. You will want to factor this in how your brand looks so that the average consumer will connect with the brand. The next step is to understand the trends in the market and do some competitive analysis on what other companies are doing. A great online tool to find out what consumers are searching for online is Google Trends https://trends.google.com/trends. You will also want to make sure you understand all the other companies who are making a competitive product to yours. Once you know the other competing products on the market, you should develop a SWOT analysis detailing your competitive advantage and disadvantage among your competitors. Wordstream recently published a great blog post on the subject. Now that you have all this great information, your creative team or agency will have some inspiration to develop your brand and design elements.